Verdict: ‘The Mahabharat Secret’ is the first work of Christopher C. Doyle. This book is a wonderful combination of fantasy-fiction, thriller and mythology and mastered with the imagination and observation of the author. Most of us have grown up listening to the story of Mahabharat and as we are unaware of the fact that there is any secret behind the Mahabharat, makes the name more interesting. The readers will grab the book just to find out what secret can the Mahabharat hide. I liked the cover and the key on the cover is very much significant to the story. Overall the first impression of the book was good. The author’s narrating style has a smooth flow which will force the readers to complete the whole book is one go. The words chosen by the author is a treat to the reader’s eyes and matches the atmosphere quite perfectly. I prefer chapters with names rather than only numbers and the author has somehow managed to do the both. He has named a few scenes and numbered all chapters and the name of the place in the top right corner of the book, where the incident is unfolding is very helpful to the readers. The characterization is good and each and every character has their own role to play which is one of the good points of the story. The readers can never ignore any of the character because each and every one was needed to unlock the secret. The author was able to surprise the readers with his sudden introduction of important characters. I loved those parts. The story line was good, gripping and interesting. But compared to the other books in the market in this genre, I can say that the plot is not fresh. 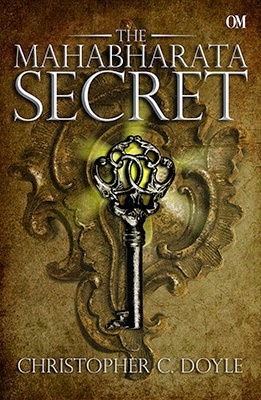 The journey of finding the secret while solving the riddles is not so uncommon but the presentation was different and the speed of the story will make it a hit among the readers. I loved the ending and appreciate the author’s imagination power of jotting down such an intriguing scene. The name, the cover and the blurb everything indicated that this book will have a deep connection with mythology or will have a heavy mythological touch but after the first half there was none. In the beginning there were few chapters, talking about Ashoka, The Nine and Suryasen but as the story moves on the author has focused more on the journey and shifted the limelight from the mythology part. I would have called this book perfect if there were some more mythological touches to justify the name and the blurb. Final Words: This book is full with surprise elements and will keep the readers hooked till the end and will make them gasp for the secret to reveal. The readers will witness this journey at the edge of their seat. whats the total no. of chapters, respected sir/madam???? is it 50??? ?